What’s the best worm drive circular saw? We review a wide range of worm drive circular saws, including hypoid saws. There’s something here for everyone, depending on your needs and budget. Worm gears are very compact gearing systems and provide high-ratio speed reduction. Additionally, the output from the gearbox is at a 90° angle to the input. Worm drives are preferred when space is limited and large gear reductions are needed. If the input speed of a gearbox is higher than the output speed, the torque is increased. In applications where a speed reduction and increase in torque is desirable, the worm drive is one choice. If the speed of a given motor is higher than the required blade speed, you can reduce it with a gearbox. A gearbox with a lower output speed also increases the torque at the blade. If you choose a worm gear for this application, the output will be at 90° to its input. Meaning that it positions the motor behind the gearbox, next to the blade. Therefore, the worm drive circular saw is narrower and longer than a regular circular saw. If a reduction in blade speed, more torque, and a narrower machine is desirable, it is an easy solution. I see there is a huge debate about which one is the best, a worm drive circular saw, or the standard sidewinder circular saw. Some argue that the worm drive circular saw is better because the blade speed is lower than the sidewinder and therefore the torque is increased. Is this true? Is the blade speed different? Cutting speed and feed determines the surface finish, power requirements, and material removal rate of a blade. The cutting speed is given either as surface feet per minute (SFPM) or feet per second (FPS). Using a circular saw, the best cutting speed for wood is around 15,000 SFPM or between 167 to 184 FPS. The blade diameter and rotation speed determines the surface speed of each circular sawtooth. To get the best cutting speed, you have to balance the two variables. If you do the math, for the same size blade, you always end up with almost the same speed. Considering the argument that the torque is higher than the standard circular saw, it is possible with a reduction gear arrangement that lowers the blade speed. I already argued that we do not want to change the speed. Though not by much, you want to maintain a good cutting speed. Increasing the torque is desirable; it will make the tool more powerful so it will cut with greater ease. Therefore, the only option is to start with a higher motor speed. I do not have the figures to prove it, but I believe that this appears to be the case. Another argument is that worm drive circular saws are very heavy when compared to regular circular saws. The additional bearings, shafts, and gears obviously add some weight. We’ve selected six fantastic worm drive circular saws for the review. In doing so, we’ll see how these claims hold up. DEWALT DCS577B FLEXVOLT 60V Max* 7¼” — 5800 RPM, 183.5 fps, 10.9 pounds. Bosch CSW41 7¼” — 5300 RPM, 167.7 fps, 13.2 pounds. SKILSAW SPT77WML-01 — 15-Amp 7¼” — 5300 RPM, 167.7 fps, 11.5 pounds. Makita 5477NB — 15 Amp 7¼” hypoid saw. 4500 RPM, 142.4 fps, 14.3 pounds. Big Foot Tools C-1025SU — 10-1/4″. Magnesium circular saw — 5300 RPM, 237 fps, 23.2 pounds. SKILSAW SPT70V-11 — Super Sawsquatch 16-5/16″ Worm drive circular saw. 2500 RPM, 177.9 fps, 27.3 pounds. After the reviews, I will continue the discussion about the benefits of inline and sidewinder motors. In the analyses of these magnificent machines, I will touch on all the selection criteria for worm drive and hypoid circular saws. I will identify some hidden advantages and flaws. 7¼” Cordless. One of the most powerful and best worm drive circular saw. Battery sold separately. 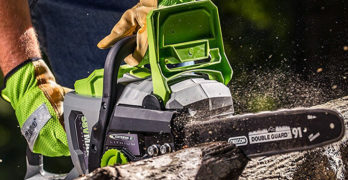 One of the most powerful cordless circular saws available. The DeWALT DCS577B FLEXVOLT blade runs at the same speed as most sidewinder circular saws (5800 RPM). It also weighs roughly the same as most regular circular saws at 10.9 pounds. A quick comparison to a regular DeWALT circular saw, reveals two things. The DeWALT DWE575SB regular lightweight circular saw with electric brake weighs 8.8 pounds. Its blade speed is 5,200 RPM. In this instance, the blade speed of the regular circular saw is 600 RPM lower than the worm drive. There is an increase in weight, 2.1 pounds when comparing a lightweight regular to the worm drive. Therefore, I conclude that a circular saw gains weight and torque, giving it more cutting power, and nothing more. The tool also ends up being narrower and longer. The blade is mounted to the left of the motor and the handle positioned at the rear of the saw. For a right-handed person, this arrangement optimizes the line of sight when cutting. An integrated dust blower further enhances the line of sight by clearing away the dust when cutting. No more huffing and puffing to clear the line, and no need to peek over the saw to see the blade. It works for me, enhancing the cutting experience. The battery-powered, brushless, Flexvolt 60V MAX* motor is efficient and delivers more power than conventional AC motors. It produces 2400-watts. This makes it the most powerful motor on our list, 600 Watts more than the 16- 5/16” worm drive circular saw. Combined with the worm drive, it’s definitely more powerful than most, due to the drive’s gear ratio advantages. User feedback is positive, apart from some complaints about the weight. Most carpenters are more than happy with the saw and batteries. The bare tool weighs 10.9 Pounds, almost the same as a regular circular saw. Add the 60V MAX* Flexvolt 9 Ah battery at 4.4 pounds, and the total weight becomes 15.3 pounds, which is somewhat heavy. Heavier than the rest of the 7¼” tools under review. The Flexvolt 60V MAX* battery used in this circular saw automatically changes the voltage, depending on whether it’s used in a 60V MAX or 20V MAX tool. When using the 60 Volt MAX* in a 20V MAX* tool you get up to 4 times the run-time. 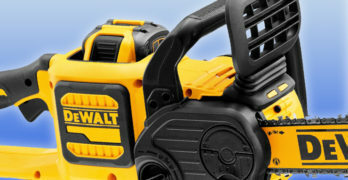 You can also slide the battery into any new 60V MAX* and 120V MAX* tools from DEWALT. Don’t forget, with a bare tool offer the battery and charger is not included in most deals, better be sure when you order one. The DeWALT Flexvolt 7¼” Carbide tipped blade is bigger than most battery-powered circular saws. The advantage is that this one cuts deeper, especially when doing a bevel cut. Despite the higher load on the tool, it still maintains good battery life, which I attribute to the worm drive. The maximum bevel angle of 53° has positive stops at 45° and 22.5° to make selection easy. Its 1⅞” depth cut at 45° and 2-7/16″ at 90° are definitely an advantage. The blade speed of 5800 RPM is high, the highest of all the circular saws in the list. Note that it’s not too high, it’s still within the normal cutting speed for wood. It’s ideal for a variety of wood cutting applications such as oriented strand board (OSB), plywood, dimensional lumber, and flooring. An electronic brake stops the blade after releasing the trigger. It’s a useful feature when considering the high rotational speed of the blade. Rafters will be pleased to learn that a rafter hook is fitted for hanging or lowering the saw. Another advantage of this worm drive circular is the high-grade magnesium shoe that improves rigidity to ensure accurate cuts. The depth of cut and bevel angles are clearly marked. The blade wrench conveniently stores onboard within easy reach when changing blades. The DeWALT DCS577B Flexvolt is covered by a 3-year limited warranty, 1-year free service contract and a 90-day money-back guarantee. Features an enormous gearing ratio in a compact size. The Bosch CSW41, 7¼” Worm drive circular saw is a corded, 120V circular saw, with an 8-foot cord. The Bosch is lighter than the Flexvolt. It weighs 12.3 pounds compared to the 15.3 pounds of the DeWALT. It has a lightweight magnesium motor housing and footplate which reduces the weight. Beaten only by the SKILSAW SPT77WML-01 lightweight worm drive circular saw at 11.5 pounds. Its powerful 15 Amp motor delivers 1800 Watts like the rest of the 7¼” corded circular saws. Its blade speed is lower than the DeWALT saw. At 5300 RPM, it has a surface speed of 167.7 fps. That puts it at the lower end of the scale, so it will perform better with harder woods than the DeWALT. It’s unfortunate that torque figures are not available for the circular saws. It would be fantastic to know how the worm drives compare to the sidewinder circular saws. The CSW41 has the same large bevel capacity of up to 53° as the rest of them. The adjustment has a positive stop at 45° only. The bevel and depth adjustment levers are metal instead of hardened plastic, which is good for durability. It also has a built-in saw storage hook, or to use as a rafter hook. Its cutting depth at 90° is 2-3/8″, and 1-29/32″ at 45°. This is less than the DeWALT, but on par with the rest of the 7¼” circular saws. This worm drive circular saw also has a left-side blade placement, which gives a clear line of sight for right-handed users. One advantage of a worm drive is that it has a large gearing ratio in a compact size and it increases torque. The 15-amp motor also provides plenty of torque. The die-cast structure of the rigid motor lightweight magnesium housing eliminates blade wobble and body distortion to give you accurate cuts. This construction saw has a die-cast magnesium footplate for true strength, and all the bearings are ball bearings. It’s built to withstand years of hard work on a jobsite. An advanced oil lubrication system increases gear life. The Bosch CSW41 also has the multi-function wrench on-board for changing blades, brushes, and oil, to adjust levers, and to remove the blade diamond knockout. The saw has easily serviceable brushes, mounted within easy reach. An easy-to-manage spindle lock makes for quick, simple blade changes. The lower guard has an anti-snag design that makes it easy to feed the saw across rough materials. Bosh offers a limited warranty for one year from date of purchase. Powered by the best-in-class dual-field motor. This is the lightest worm drive circular saw on our list. This all-magnesium worm drive saw has the same size motor as the rest but weighs a mere 11.5 pounds. Magnesium is the lightest structural metal, usually in the form of an alloy. It is popular when lightweight or rigidity is favored over strength. A plastic screen inside the housing provides complete insulation, protecting the user against shock. 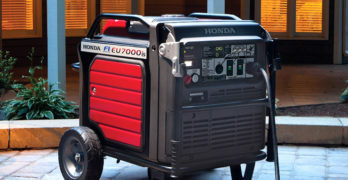 It uses a 15-amp dual-field 120 Volt motor that stays cool under load. This worm drive circular saw has the same wattage rating and blade speed as the Bosch CSW41. It is, therefore, ideal for applications such as framing, decking, siding, and ceilings. Due to the 167.7 fps surface speed, it works well with soft, hard, and engineered woods. Its maximum cutting capacity of 2-3/8 inch at 90° and 1-15/16″ at 45° is very similar to the other saws. Its maximum bevel capacity is 53°. To make life easier, it has positive stops at 0° and 45° in the bevel guide. The footplate also has Indents for 0° and 45° cut lines, in front of and behind the blade, assisting the user in making a true cut. Included with the SPT77WML-01 is an on-tool multi-function wrench for blade changes and to replace brushes and oil. This bare-tool offering also includes a 24-tooth carbide-tipped SKILSAW blade. Depth adjustment is convenient with a simple lever lock that works well with gloves. Markers on the saw make it easy and quick to adjust for ¼”, ½”, ¾” plywood, and 2×4’s. The anti-snag lower guard protects the blade when not in use. A good thing is that it won’t snag while cutting thinner materials. The Robert Bosch tool corporation (Skilsaw) offers a limited warranty of one year on the saw to the original owner only. 15 Amp. Best hypoid circular saw. Base plate is chemically treated to resist rust and warping. This is another corded 7¼” circular saw. It is different in that it uses a hypoid gear instead of using a worm drive. Both gear systems achieve the same goals of working at a 90° angle and delivering high gearing ratios. The hypoid gear pinion meshes off-axis to the ring gear or crown wheel, therefore the pinion is larger in diameter. It provides more tooth contact and gearing ratios than the worm drive. This corded hypoid circular saw weighs 14.3 pounds, one pound less than the DeWALT Flexvolt with its battery. The power of this circular saw is rated at 2300 Watts. I do not understand how a 15A, 120V motor can produce this kind of output. I consulted the parts manual, and I see a regular brush motor is used. So I suspect the true wattage rating is the same as the other corded models at 1800 Watts. The brushes on this motor are externally accessible for easy replacement and extended tool life. High quality, heat-treated hypoid gears run in an oil bath, encased in a sealed gear housing. It’s the most important difference between a worm drive saw and a hypoid saw. The worm drive needs regular oil changes, but the hypoid saws have permanent oil, with no changes ever needed. This means the gearbox will last longer and run cooler. The Makita hypoid saw offers 0° to 51.5° bevel cut capacity with positive stops at 45° and 51.5° for truss and rafter cutouts. It is ideal for framers, builders, carpenters, and general contractors. Large and easy to read markings on the depth and bevel scales make it a lot quicker to make changes on the go. The deal includes a 24-tooth thin kerf carbide tipped blade and wrench. The wrench is always nearby, thanks to a convenient mounting fixture on the saw body. The Makita 7¼” general contractor-framing blade has an advanced tooth design. The carbide tips are specifically set to withstand the harshest conditions such as plowing through nail-embedded wood. The blade design includes special Makita heat vents to dissipate heat and increase performance. The cutting capacity of 2-3/8″ at 90°, 1-3/4″ at 45° and 1-9/16″ at 50° is in line with the rest of the circular saws. Large levers for fast bevel and depth adjustments make accurate adjustments while wearing gloves much easier. A push button spindle lock makes for easy blade changes. The chemically treated base plate resists rust and is designed to reduce warping. A solid steel or magnesium base plate without any wobble is a must for superior cuts. I’m somewhat disappointed by the steel base, magnesium is lighter and rust proof. This saw weighs 14.3 pounds so it can do with some weight reduction. The reinforced power cord is a handy 10-feet in length. The reinforcement means the cord can withstand more job site abuse. Makita has factories and service centers in America, and this well-known, trusted brand offers a one-year limited warranty. Makita is a make I always trusted, and I prefer the hypoid gears to the worm drive. Therefore this would be my choice 7-1/4″ saw. Net Weight : 14.3 lbs. 10¼” —Worm-drive magnesium circular saw with Skil 77 motor. Controlled cut without going off-line due to blade flex. Robert Hutchings created the first Big Foot tool. He worked as a framer and carpenter for nearly three decades. After years of work experience, he decided to use a larger blade on his 7¼” SKILSAW to save time. In doing so, he could cut 4 x 4s in one pass instead of two. That decision was the beginning of the Big Foot saw. The Big Foot saw is still based on a Skil power unit, using the Skilsaw SPT77WML motor. Although it is not clear, I get the feeling a Big Foot guard and foot set is bolted to the Skil. They offer a Saw Adapter Kit for a SKILSAW SPT77 to build your own Big Foot Beam Saw. In doing so, the saw ends up with the same 5300 RPM blade speed as the Skil. It gives the tool a cutting speed of 237 fps with the larger blade. It’s more than the recommended 184 FPS maximum, that’s if it can maintain the high blade speed during a cut. As a saw intended for 4×6 and 4×8 rafters, 6×6 deck posts and joinery, this may be acceptable. The Big Foot saw has a 3-3/4″ depth of cut, able to cut any 4X material in one pass. It will easily cut 4-times leaders, 2-times sandwich leaders, and exposed beams. The saw is definitely made by a framer for framers. It uses a 10-inch thin kerf blade. I could not determine the weight of the Big Foot with certainty due to conflicting figures, but 14.68 pounds sound correct. Some specifications list it as 23.2 pounds. The Big Foot 10″ blade is able to cut any 4X wood materials in just one pass. Eliminating the need for additional finishing tools. With a 10-1/4-inch blade, it’s a great saw for work on decks, porches and fence posts. The Big Foot can save you at least an hour a day in labor costs. When cutting at 90° with the Big Foot, 10-1/4″ worm drive circular saw the depth of cut is 3-7/8″. At 45° bevel, the depth of cut is 2-3/4″. A 36-tooth 10″ Carbide tipped, thin kerf blade is included with the saw. 16-5/16″ Blade. Biggest and the best heavy-duty worm drive circular saw. 15 AMP Dual-Field motor keeps the motor cooler. The SKILSAW SPT70V-11 Super Sawsquatch is a monster. The saw is big, it stands 17.5″ tall, and its 16-5/16″ blade cuts 6-1/4″ deep at 90°. To compensate for big diameter saw blade, the worm drive gearing has been increased to lower the blade speed to 2500 RPM. Using the SPT77WML motor with a speed of 5300 RPM, reduced to 2500 RPM with the gearbox, doubles its torque. It also ensures that it cuts at a proper speed of 178 fps. However, the big blade reverses the gearing gain, resulting in not much increase in torque compared to the SPT77NB. This is the biggest problem I have with the Big Foot, its cutting speed is too high. The Skilsaw has the cutting capacity for one-time clean cuts through 6×6 beams, and lumber up to 6-1/4″ thick. This is a workhorse, with a big blade for great cutting capacity. Its size makes it heavy, not something you will use overhead. But for its size, this machine is a lightweight. Skill did everything they could to keep the weight down. The all-magnesium construction and a die-cast magnesium footplate reduces weight and give it the stiffness to ensure accurate cuts. When combined with the brass worm drive gearing, and 15 AMP Dual-Field™ motor it weighs 27.3 pounds. Yes, it is heavy and big, but that is what you have to contend with when cutting 6×6’s in one pass. It’s still a lot easier than moving around a large beam saw. Making it cordless will add more weight; therefore, it’s a corded worm drive circular saw. 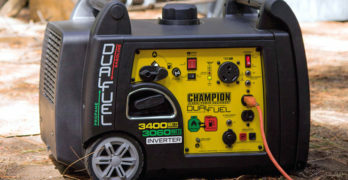 For portability, it works on 120 Volt at 15 Amps and delivers 1800 watts. To ensure that this big saw stays cool, the Dual-Field motor ensures that it runs cooler than standard brush motors. The circular saw is fitted with a sensible 120-inch cord to make moving it around more convenient. The SKILSAW SPT70V-11 does not come with a case. It’s mounted on a saw stand to protect the bottom end, which is secured with clips. The standard Skill 77 unit is used, and its forward handle is still there, but it’s awkward to use and unsafe. Therefore, an auxiliary handle attaches to a point provided on the left upper end of the blade guard. For a little more control, or when doing bevel cuts, it can be used at a point near the forward end of the shoe plate. You use the auxiliary handle to control the saw with your left hand and drive it using the rear handle. Because it is so big, controlling it during a cut is difficult at first. With some repetition, you soon get used to it and then get perfect cuts every time. The multi-function wrench is stored in a dedicated slot on the shoe plate so that it is always nearby. The 16-5/16″ 32-Tooth SKILSAW carbide tipped blade is also included. The blade cuts cleanly and effortlessly through a 6×6 beam, even at a 45° bevel. The arbor bolt does not over tighten, thus allowing the blade to move smoothly and not bind up. It will reduce the tendency to kick back, an important consideration on a blade of this size. It has bevel stops at 0° and 45°, and the motor brushes are externally accessible for easy replacement. A rafter hook is not included with this saw, it’s simply too big to hang. Indent marks indicate 90° and 45° cut lines at the leading and trailing ends of the shoe plate. It makes it easier to follow the cut line, although it’s more difficult to see the back of the blade. One user reported using the saw for a period, mainly to cut 6×6 cedar, and is impressed by everything this saw does. Why a worm drive or hypoid gear circular saw? Regular circular saws drive the blade directly; no gear reduction is used. The rotational speed of the blade is the same as that of the motor armature. The torque of the motor is also the same at the blade. Hypoid and worm drive circular saws use higher speed motors and a reduction gear to obtain more power. The addition of a gearbox, increases the weight. The Worm drive gearbox must be serviced, while the hypoid gearbox is sealed and need no service. The gear design causes a 90° change in the drive So the motor ends up next to the blade. Because of that, the saw becomes longer and narrower, and therefore the rear handle moves back. The changes enable the worm drive circular saw to cut through tough materials with greater ease. This includes materials like lumber that has not been dried and cured properly, and is still green and wet, or pine that contains lots of sap. The regular circular saw does not have a gearing advantage, so it is easier to over-power the motor with this type of lumber. With more torque, it can kick back easier than a regular circular saw. The saw’s weight and handle positions make it harder to control when it does. Another advantage of geared motors is the improved line of sight because of the blade placement to the left of the motor. Although, this isn’t true for a left-handed person. In comparison to the worm drive circular saw, the sidewinder is lighter, cuts the same size material, and costs less. The regular circular saw also uses fewer components and requires less maintenance. Lastly, I read many comments that a worm/hypoid drive circular saw is better for ripping wood than the regular saw. Is this true? The statement concerns me because it sounds too much like a person not using the proper blade for ripping. I believe that any of the two types of circular saw does a great job if used with the correct blade for the application. If you cut a lot of uncured wood and mostly 4X and bigger, a worm drive makes sense. Circular saws of all types, be it a regular or worm/hypoid drive circular saw, are sold with a combination saw blade. These blades do both rip and cross cuts. This compromise means you don’t get 100% results, but it’s close enough. It also needs more power to do a rip cut because the blade is not optimized for rip cuts. Crosscut blade. This blade is used for cutting across the grain (crosscutting wood), and it is not suitable for ripping. It will clog up quickly and will overload the circular saw. Combination blade. It’s an all-purpose wood cutting blade with less than perfect cuts. Finish or paneling blade. For cutting paneling, veneer, plywood, laminates. It is also suitable for plastics and other light-gauge materials. Nail-cutting blade. This blade is used for cutting wood with nails or other foreign objects. Learn more about saw blades. Circular saw blades vary in price depending on the blade’s quality and purpose. More expensive blades usually feature better steel, laser cutting and other techniques to extend the blade life. Inexpensive blades may dull quickly or produce rougher cuts. Blades with more teeth yield a cleaner cut and cost more. Blades with fewer teeth deliver faster cuts with rougher edges. The number of teeth should always be considered in relation to the diameter of the blade. Fewer teeth create larger gullets, removing material quickly and reducing clogging, which is important for ripping wood. The attack angle of the tooth can be positive, neutral or negative. It depends on the material and the finish you want. An aggressive, positive hook produces faster cuts but tends to increase tear out. Expansion slots in the blade prevent warping by allowing the metal to expand when it gets hot. Look for laser-cut bodies, arbors, and expansion slots on saw blades for higher quality cuts. Some blades are coated to prevent corrosion, friction, and/or gum up, extending blade life. You have to decide what you need for the job at hand. You need more than one blade if you do lots of long rip cuts and many crosscuts and, sometimes, two saws are needed. What blade and circular saw combination you choose, in the end, really depends on the job at hand and your personal preferences.